Finally the moment of the day has come. It is time for Deepika Padukoneand Ranveer Singh to step on stage as husband and wife for the first time after marriage. Deepaveer is in Bangalore today to host their first wedding reception. This is the first of three receptions. Couple look amazing in the first image. In the picture, Deepika is wearing a golden sari given by her mother Ujjala Padukone from Angadi Galleria. Under the heavy emerald choker, Deepika is seen wearing a multi- strand pearl necklace. She has synchronized her earrings with a wonderful choker. She is seen wearing emerald rings in the picture. Deepika’s wedding chooda and wedding ring is visible in the shot. She has worn a bunch of jasmine flowers on her hair. On the other hand, Ranveer has kept it simple but looks like a dapper AF. He is seen wearing a full sleeve black and golden embroidered kurta with his hair pulling back. 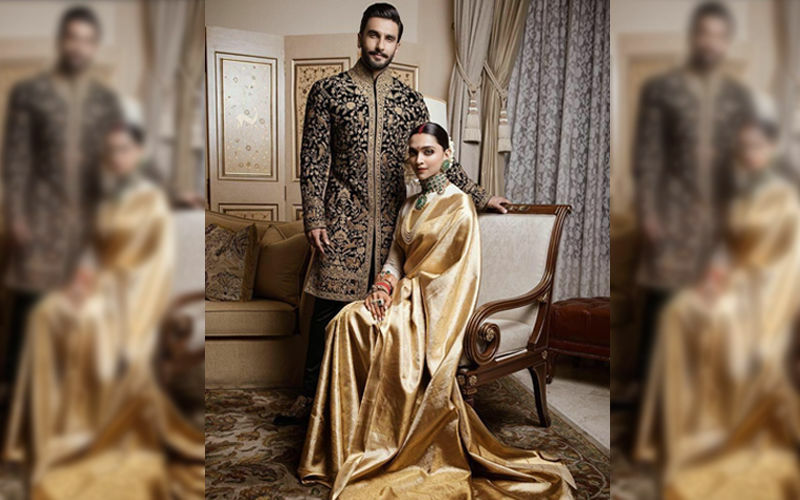 Ranveer is wearing a dress designed by Rohit Bal. The couple is styled by Sabasachi. Deepika and Ranveer are in the hometown of Deepika for hosting reception. Marriage is being welcomed at the Leela Palace of Bangalore. Couples are hosting their extended family. This is their first wedding ceremony since their Lake Como wedding. Both are sharing some beautiful pictures with their secret marriage, who have left Teary eyes to everyone. After their Bengaluru reception, the couple will head back to Mumbai and throw two more wedding receptions in the city. 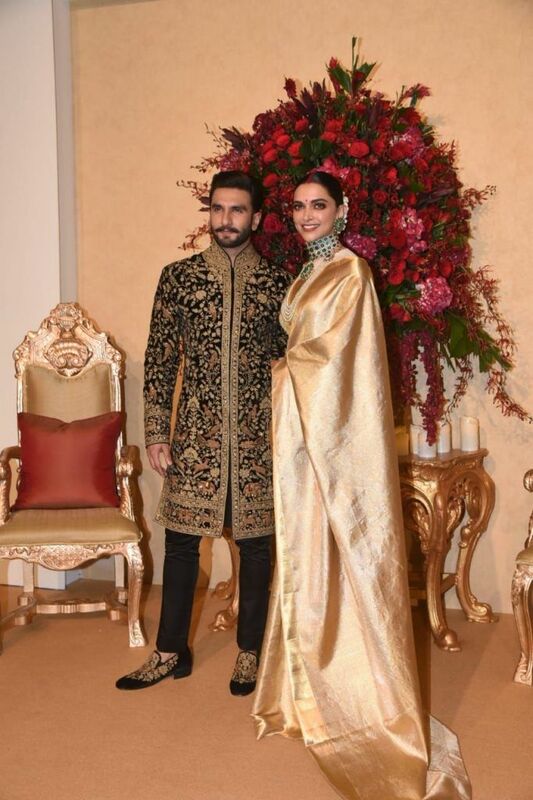 Now that we’ve seen this picture, we know that their Mumbai reception outfits will also be nothing less than a royal affair.